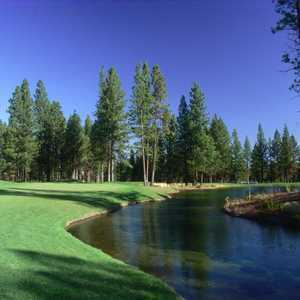 The 9-hole Caldera Links at Sunriver Resort in Sunriver, OR is a resort golf course that opened in 2007. 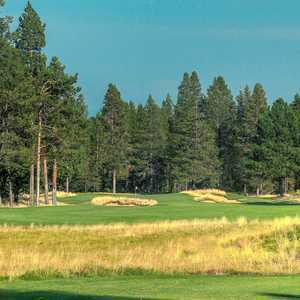 Caldera Links at Sunriver Resort was designed by Bob Cupp and Jim Ramey. The greens are bent grass and the fairways are bluegrass. Situated within forested meadows and carefully preserved wetlands, Crosswater is threaded by the Dechutes and Little Dechutes Rivers. With it’s five sets of tees, golfers may choose to cross these waters up to seven times. 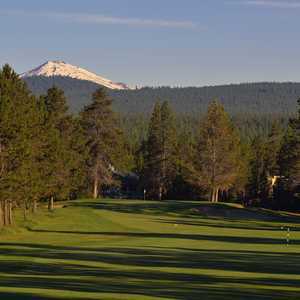 Designed by John Fought, Sunriver Resort's Meadows course winds alongside the Sun River and through strands of Ponderosa and Lodge Pole Pine. Featuring bentgrass tees and greens and Fought's dramatic use of directional and fore-bunkers, the Meadows course serves up ample challenges. Designed by Robert Trent Jones, Jr., the Woodlands course at Sunriver Resort features deep bunkers, lakes and rock outcroppings. These and other obstacles place a premium on club selection and accuracy. The Woodands is consistently rated among Oregon's best courses.